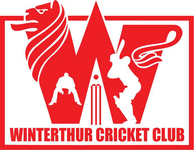 Winterthur lost to ground-share rivals Power CC by the slimmest of margins when their Pickwick Twenty20 match went to a Superover after the scores were tied, Kasun Munasinghe reports. 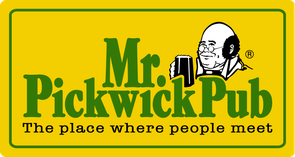 WCC faced their second game of Pickwick T20 tournament on the same day against Power Winterthur CC. What an exciting game of cricket it was, scores were leveled after dramatic final over, a super over for more entertainment, but not for WCC, they lost the match just short of one run in the super over. Captain Tom won the toss and elected to bat first, but half of the team was not reported to ground by toss, was enjoying their short lunch break (written evidence for discipline committee). Inning was started with Ruan and Praf, they put up a decent partnership giving the team a good foundation for a big score. Ruan was caught behind for 15 while Praf offered a simple catch after playing really well for his 25 runs. Same mistakes were brought from last game, batting collapse; Tom top edged a full-length delivery for covers, on very next ball Kasun juiced an easy full toss to safe hands of long on. Lakmal kept his form did his duty as exactly written on books, made 19 runs while letting other batsmen to bat around him. Sahan(14) sent two balls to the crowd after some wild swinging, Dipi (10) made his inning short and sweet but not up to the expectation. At the end of 20 overs, WCC scoreboard was read as 129/ao. WCC started bowling with a virtual target of 75 runs set by captain Tom. Rod started proceedings hitting the perfect line and length, rewarded with a wicket in very first over. Deesh came from other end and made a fairy show for batsmen, hitting two balls right top of the off stump in his very first over. Deesh finished his great memorable spell taking three wickets for 12 runs in four overs. Ruan was the first bowling change, bowled beautifully to take a wicket in his 4th ball. At this point WCC were in a commanding position for a win, scorecard was read as 38/5 in 8 overs. Pressure was loosen up a bit from WCC side and runs started to sneak through. After 12 overs score was 74/7, still WCC had a solid chance to win the match. Here onwards two batsmen managed to find 4, 5 runs per over and built a gem of a partnership to bring the score up to 107 after 17 overs. In final over Power had to score 5 runs to win having only one wicket in hands, Dipi was the only left option to bowl the final over who bowled a great over before, bowled awesomely to level the score only giving one boundary and five dot balls under all the pressure. So the super over time came. Tom decided to go with Dipi, the man in form to bowl the super-over, bowled superbly no one could ask for more, restricting Power Winterthur only for 4 runs. Ruan, Praf and Tom are the nominated batsmen to score winning five runs, unfortunately could not get the one single needed in last ball, conserving a famous victory for Power Winterthur Cricket Club. Despite of some superb efforts from Chris standing closer to batsmen, overall fielding was not up to level. 19 extra runs were given away including 17 wides and one no ball, which means WCC have bowled 3 extra overs, something not acceptable when you are defending a low score. Same as the first match, main contrast of the match was failure of top order batsmen. Hope WCC batsmen will execute their plans accordingly in next games with experiences of hurtful defeat. All the players were enough skillful for a tournament win, bad times comes and go, it is the nature of the game. The team will play against ZCCC and Berne CC in next weekend, which are must win matches to keep the hopes to future of the tournament.